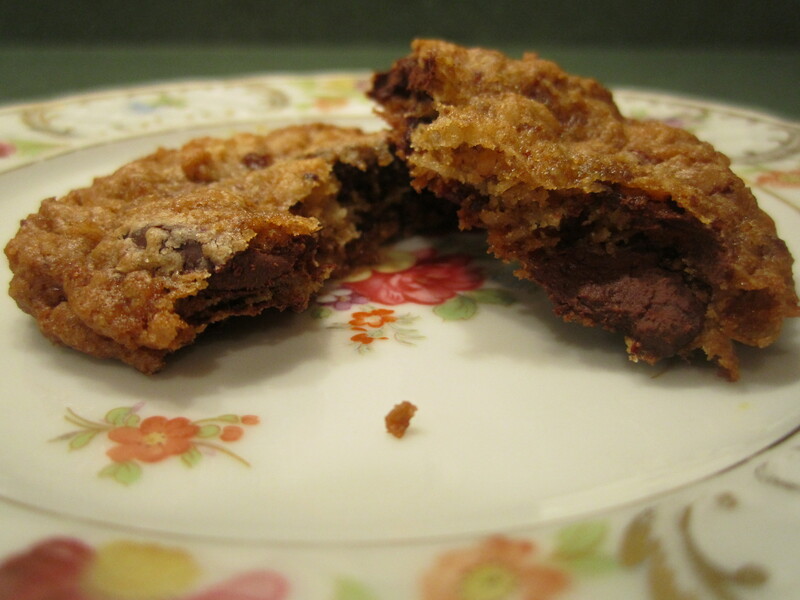 This is one of my favorite blogs: thesaltedcookie! It’s usually a Sunday post because whatever cookie Becca is making, they are brought to work the next day. She takes you on a cookie adventure with her writing, letting you get a glimpse of her wonderful family and personal experiences. These cookies are really, really good. I am usually not a big fan of nuts in cookies but they really work in this cookie. The nuts are toasted and I think toasting brings out the nuts maximum flavor and makes them more crunchy: something to think about when I avoid nuts in baked goods recipes in the future. Looking forward to the cookie cookbook that she should definitely be writing!! Note: this batter needs to be refrigerated before baking. thesaltedcookie recommends this in her directions and believe me, it makes a difference in the integrity of the cookie. I decided to test whether this was really needed (ahem….) and it is. So be prepared to make the batter and wait before you can bake them off. 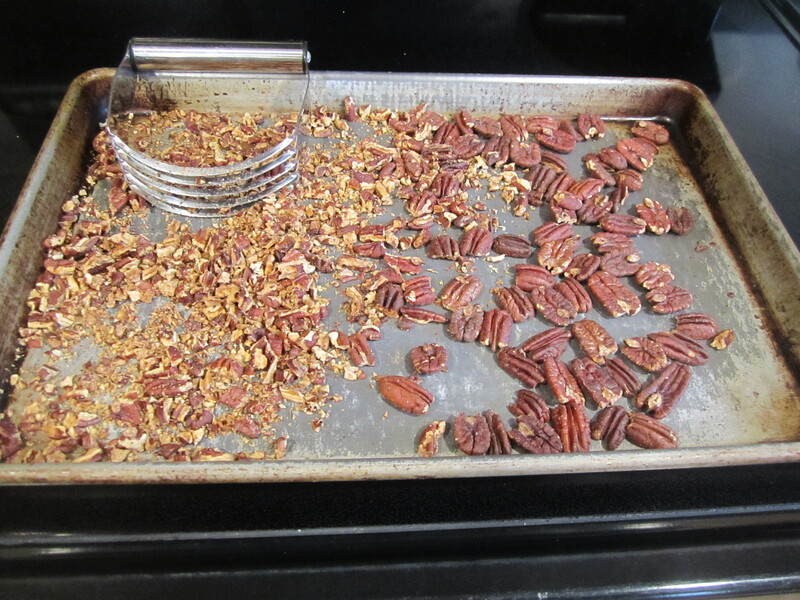 Toasting the pecans: preheat oven to 375 degrees and place pecan halves on a baking sheet sprayed with canola oil. Bake for about 12 minutes until dark brown. When you begin to smell the pecans, they are very close to being ready. Remove from the oven and coarsely chop and set aside. I used a pastry blender/knife and it worked really well. Place the butter in bowl of stand mixer and beat on medium until soft. While the butter is getting soft, get other ingredients together: place sugars in medium bowl, place eggs and vanilla in a small bowl, combine flour, baking soda and salt in medium bowl. Measure out oats and shredded coconut. Open chips and place in small bowl. When butter is ready, add sugars and beat until thoroughly combined. Add eggs and vanilla and beat until light and fluffy. 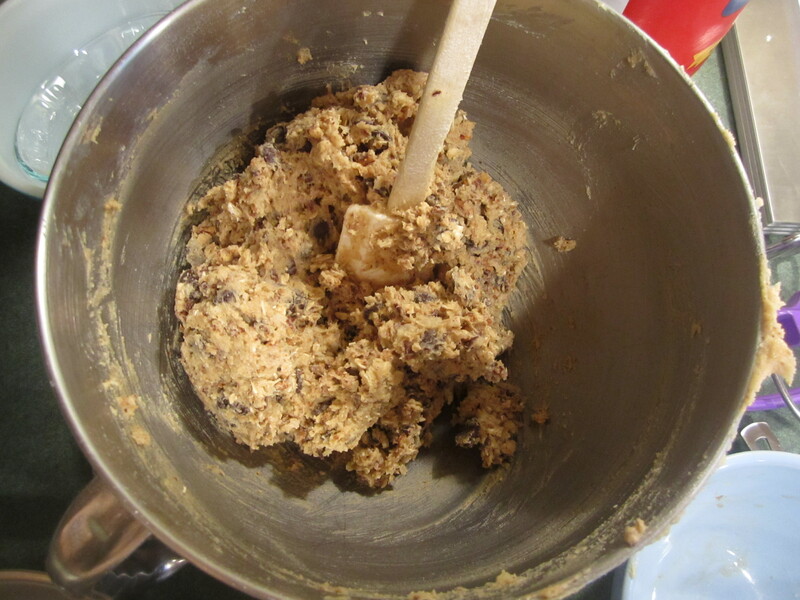 Gradually add flour mixture, then oats and mix until just combined. 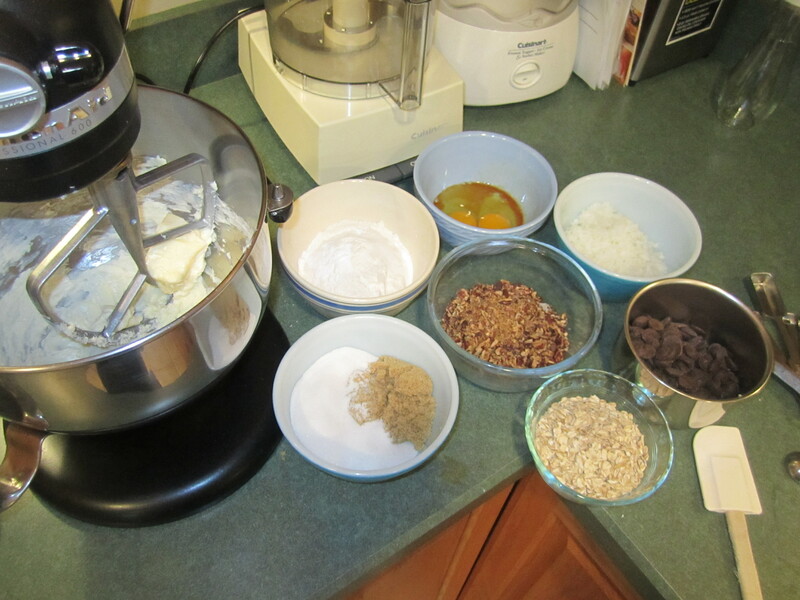 Add chips, pecans and coconut and mix until just combined. 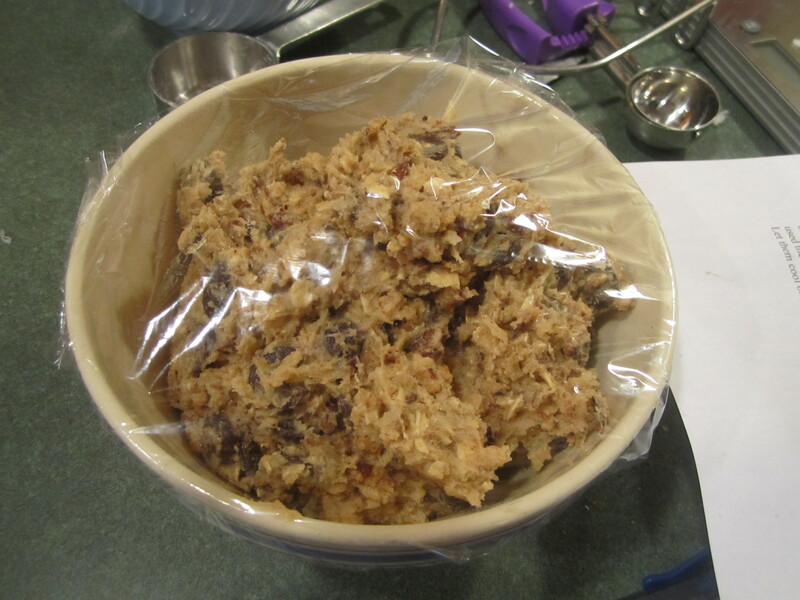 Cover dough with plastic wrap and refrigerate for at least 3 hours or overnight. Measure 1-1/2 ounces of dough (I got to use my new toy! 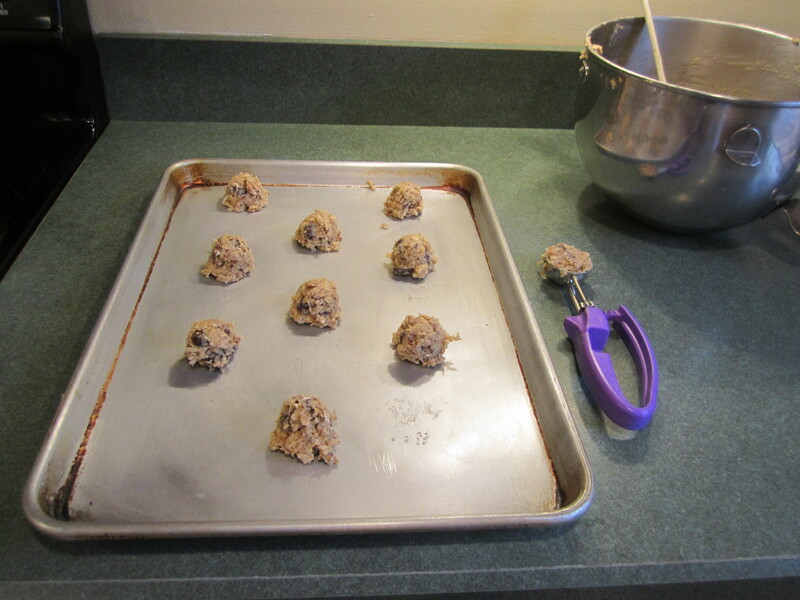 : Cookie Scoop) and place on ungreased cookie sheet, continuing with the remaining dough. Bake for 5 minutes, turn cookie sheet and bake for another 6 minutes for a total of 11 minutes. This may vary according to your specific oven so these are guidelines. 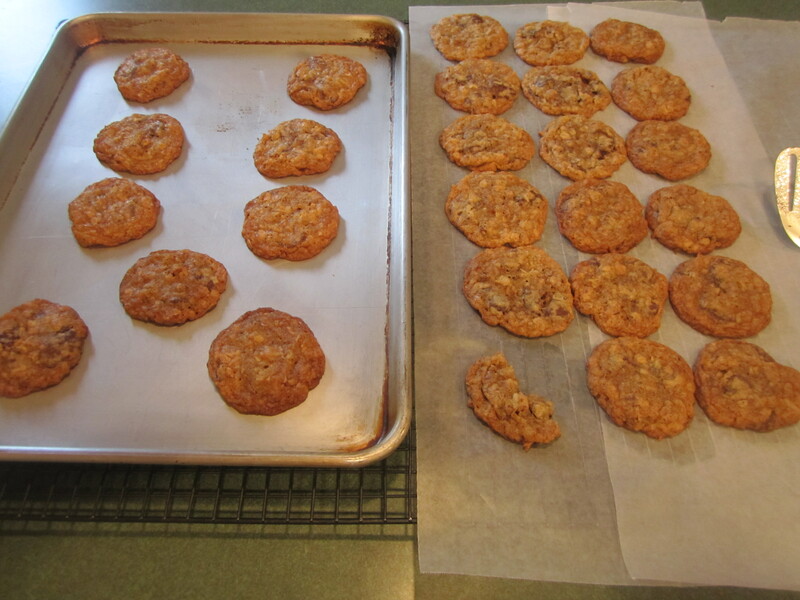 Let cookies rest on cookie sheet for 5 minutes before placing them on a rack to cool completely. Thank you! 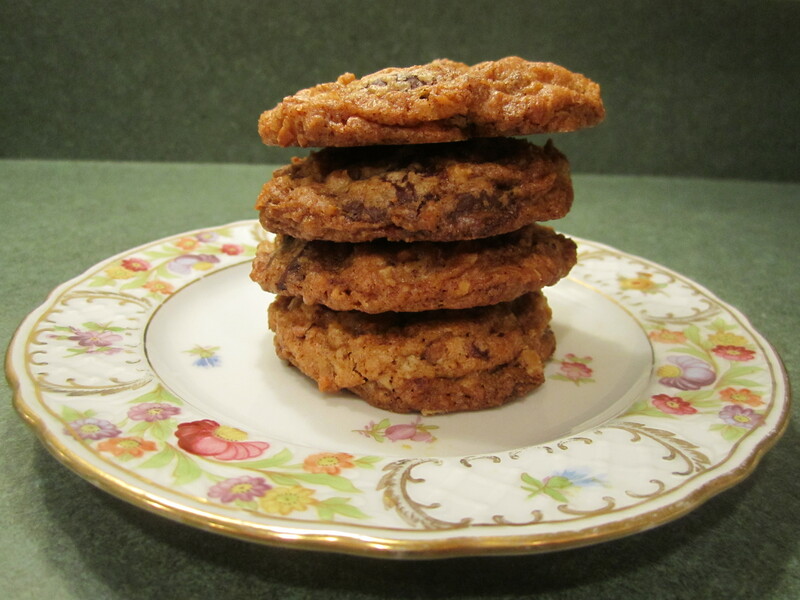 Great cookie, looking forward to baking more from your site but need an outlet. I can’t keep on sending them to Sarah and Ian but….. maybe I can! haha!